“Duryodhana continued, ‘Even this was the resolve then formed by theseheroes of immeasurable energy. The whole earth was formerly under thefoe’s command. Now, however, they are incapable of vanquishing us inbattle, for our enemies, the sons of Pandu, are now without allies anddestitute of energy. O bull of the Bharata race, the sovereignty of theearth now resteth in me, and the kings also, assembled by me, are of thesame mind with me in weal or woe. Know thou, O best of the Kuru race,that all these kings, O slayer of foes, can, for my sake, enter into thefire or the sea. They are all laughing at thee, beholding thee filledwith grief and including in these lamentations like one out of his wits,and affrighted at the praises of the foe. Every one amongst these kingsis able to withstand the Pandavas. Indeed, sire, every one regardethhimself; let thy fears, therefore, be dispelled. Even Vasava himself isnot capable of vanquishing my vast host. The Self-create Brahma himself,if desirous of slaying it, cannot annihilate it. Having given up allhopes of a city, Yudhishthira craveth only five villages, affrighted, Olord, at the army I have assembled and at my power. The belief thouentertainest in the prowess of Vrikodara, the son of Kunti, is unfounded.O Bharata, thou knowest not the extent of my prowess. There is none onearth equal to me in an encounter with the mace. None have ever surpassedme in such an encounter, nor will any surpass me. With devotedapplication and undergoing many privations, I have lived in mypreceptor’s abode. I have completed my knowledge and exercises there. Itis for this that I have no fear either of Bhima or of others. When Ihumbly waited upon Sankarshana (my preceptor), blessed be thou, it washis firm conviction that Duryodhana hath no equal in the mace. In battleI am Sankarshana’s equal, and in might there is none superior to me onearth. Bhima will never be able to bear the blow of my mace in battle. Asingle blow, O king, that I may wrathfully deal unto Bhima willcertainly, O hero, carry him without delay to the abode of Yama. O king,I wish to see Vrikodara mace in hand. This hath been my long-cherisheddesire. Struck in battle with my mace, Vrikodara, the son of Pritha, willfall dead on the ground, his limbs shattered. Smitten with a blow of mymace, the mountains of Himavat may split into a hundred thousandsfragments. Vrikodra himself knoweth this truth, as also Vasudeva andArjuna, that there is no one equal to Duryodhana in the use of mace. Letthy fears, therefore, caused by Vrikodara. be dispelled, for I willcertainly slay him in fierce conflict. Do not, O king, give way tomelancholy. And after I have slain him, numerous car-warriors of equal orsuperior energy, will, O bull among the Bharatas, speedily throw Arjunadown. Bhishma, Drona Kripa and Drona’s son, Karna and, Bhurisravas,Salya, the king of Pragjyotish, and Jayadratha, the king of theSindhus,–every one of these, O Bharata, is singly capable of slaying thePandavas. When united together, they will, within a moment, send Arjunato the abode of Yama. There, indeed, is no reason why the united army ofall the kings will be incapable of vanquishing Dhananjaya singly. Ahundred times shrouded by immeasurable arrows shot by Bhishma and Dronaand Drona’s son and Kripa, and deprived of strength, Partha will have togo unto Yama’s abode. Our grandsire born of Ganga is, O Bharata, superiorto Santanu himself. Like unto a regenerate saint, and incapable of beingwithstood by the very celestials, he took his birth amongst men. There isno slayer of Bhishma, O king, on earth, for his father, being gratified,gave him the boon,–Thou shalt not die except when it is thy own wish.And Drona took his birth in a water-pot from the regenerate saintBharadwaja. And from Drona hath taken birth his son, having a knowledgeof the highest weapons. And this the foremost of preceptors. Kripa also,hath taken his birth from the great Rishi Gautama. Born in a clump ofheath this illustrious one, I think, is incapable of being slain. Thenagain, O king, the father, mother and maternal uncle ofAswatthaman,–these three,–are not born of woman’s womb. I have thathero also on my side. All these mighty car-warriors, O king, are likeunto celestials, and can, O bull of the Bharata race, inflict pain onSakra himself in battle. Arjuna is incapable of even looking at any oneof these singly. When united together, these tigers among men willcertainly slay Dhananjaya. Karna also, I suppose, is equal unto Bhishmaand Drona and Kripa. O Bharata, Rama himself had told him,–Thou artequal unto me. Karna had two ear-rings born with him, of great brillianceand beauty; for Sachi’s gratification Indra begged them of that repressorof foes, in exchange, O king, of an infallible and terrible shaft. Howwould Dhananjaya, therefore, escape with life from Karna who is protectedby that arrow? My success, therefore, O king, is as certain as a fruitheld fast in my own grasp. The utter defeat also of my foes is alreadybruited about on earth. This Bhishma, O Bharata, killeth every day tenthousand soldiers. Equal unto him are these bowmen, Drona, Drona’s sonand Kripa. Then, O repressor of foes, the ranks of the Samsaptakawarriors have made this resolution,–Either we will slay Arjuna or thatApe-bannered warrior will slay us. There are other kings also, who firmin their resolve of slaying Savyasachin, regard him as unequal tothemselves. Why dost thou then apprehend danger from the Pandavas? WhenBhimasena will be slain, O Bharata, who else (amongst them) will fight?Tell me this, O repressor of foes, if thou knowest any amongst the foes.The five brothers, with Dhrishtadyumna and Satyaki,–these seven warriorsof the enemy, O king, are regarded as their chief strength. Those,however, amongst us, that are our chief warriors, are Bhishma, Drona,Kripa, Drona’s son, Karna, Somadatta, Vahlika, and Salya, the king ofPragjyotisha, the two kings (Vindha and Anuvinda) of Avanti, andJayadratha; and then, O king, thy sons Dussasana, Durmukha, Dussaha,Srutayu; Chitrasena, Purumitra, Vivingsati, Sala, Bhurisravas, andVikarna. O king, I have assembled one and ten Akshauhinis. The army ofthe enemy is less than mine, amounting only to seven Akshauhinis. Howthen can I be defeated? Vrihaspati hath said that an army which is lessby a third ought to be encountered. My army, O king, exceedeth that ofthe foe by a third. 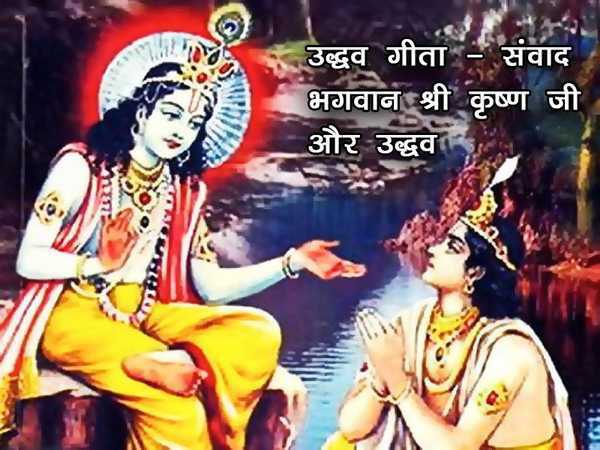 Besides, O Bharata, I know that the enemy hath manydefects, while mine, O lord, are endued with many good virtues. Knowingall this, O Bharata, as also the superiority of my force and theinferiority of the Pandavas, it behoveth thee not to lose thy senses.